For the past few weeks we’ve been living with our friend in Calgary. We’re moving away at the end of this month but we got rid of our apartment a month too early so we were lucky enough to have a place to stay. One of the great perks of living in this house is the outdoor space. I’ve never even had a balcony, so being able to sit and work on the porch or the backyard has been amazing. Nothing beats fresh air and the neighbourhood cats that come to visit every once in a while. There was even a small family of red robins that build a nest in her tree and I got to sit and watch the babies take their first flight. Basically, the outdoors is filled with the best distractions. To top it all off, she has a small garden with some herbs and rhubarb. The rhubarb wasn’t being used, so our friend suggested that I make some rhubarb muffins so that it wouldn’t go to waste. 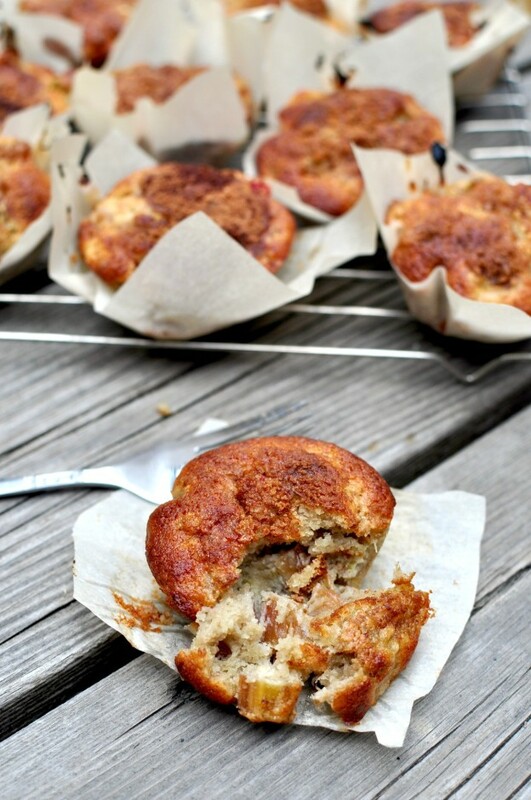 This entry was posted in Dessert, Freeze for Later, Potluck Dishes and tagged Dessert, food, muffin, muffin recipe, muffins, recipe, rhubarb, rhubarb muffin, rhubarb muffin recipe, rhubarb recipe, Sweet on July 21, 2016 by mysecondbreakfast.